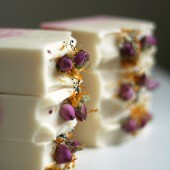 Jasmine blossoms are known for their strong and sweet aroma. The new Sultry Black Jasmine Fragrance Oil is an alluring spin on a classic jasmine scent, with additional notes of cassis, bergamot, and smoky musk. 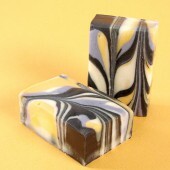 Because of its perfume-like qualities, it’s a great choice for leave-on products such as body oil. It’s also the perfect fit for this creamy body lotion recipe. Inspired by the Sultry Black Jasmine Fragrance Oil, this lotion recipe is made with rosehip seed oil. Rosehip seed oil is rich in vitamins A and C and is great for extremely dry skin. 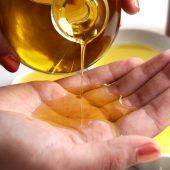 It’s known as a “dry” oil, which means it dries quickly on the skin without leaving a greasy feel. Its addition makes this lotion fantastic for hands if you work in an office and don’t want to leave an oily smear on papers you touch. Jasmine Essential Water is used as a portion of the liquid in this recipe. Essential waters are created by infusing purified water with essential oil. If you like, you can use a full 12 ounces of distilled water instead. 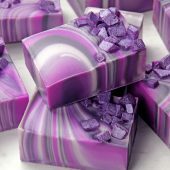 Diluted Royal Purple LabColor gives the lotion a soft purple hue. 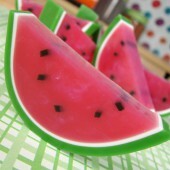 This can be omitted from the recipe completely, or you can add more if you prefer a more saturated color. Learn how to dilute LabColors here. 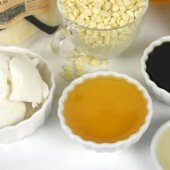 Polawax Emulsifying Wax is the emulsifier that brings the water and oil together. 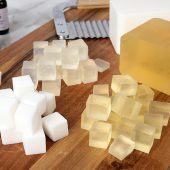 Stearic acid is a co-emulsifier, and also acts as a thickening agent. 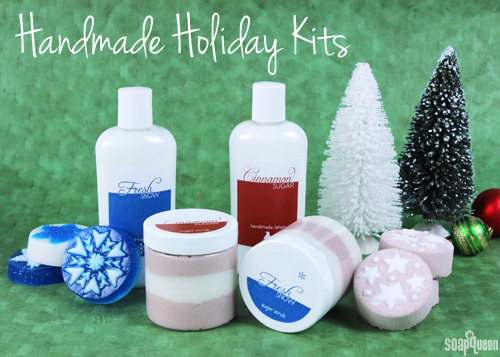 Learn more about formulating lotion recipes here. Because of the thickness of this recipe, it is not suitable for bottles with pumps. 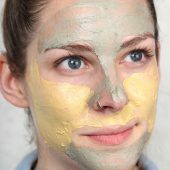 Not interested in making your own lotion from scratch? Lotion base is a great option! Winter weather can take a toll on the skin. Cold temperatures often mean less humidity, which can leave skin feeling dry, itchy and irritated. 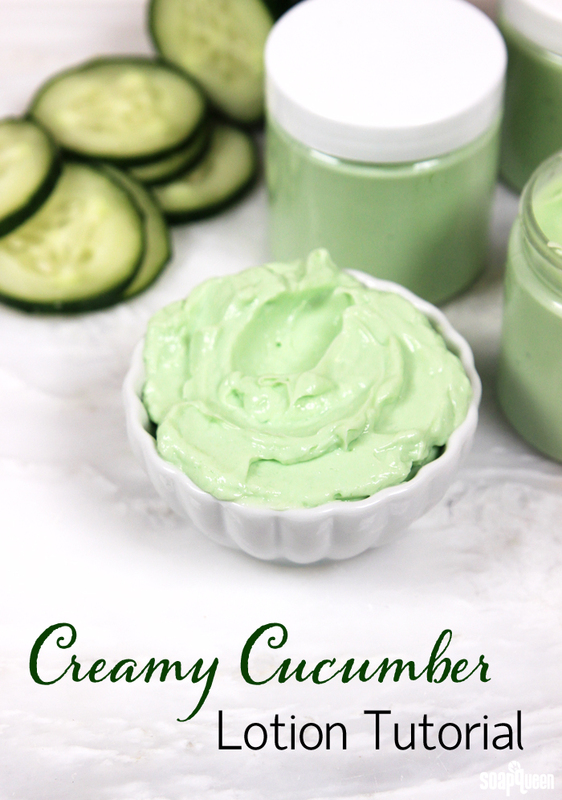 This easy-to-make Cucumber Lotion contains cucumber extract for its soothing and skin loving properties. It’s made with the Basic Lotion Base, which is specially created to add up to 5% of additional additives (oils, extracts, etc). 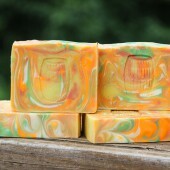 The base contains avocado oil, glycerin and coconut oil to create an effective, yet lightweight formula. 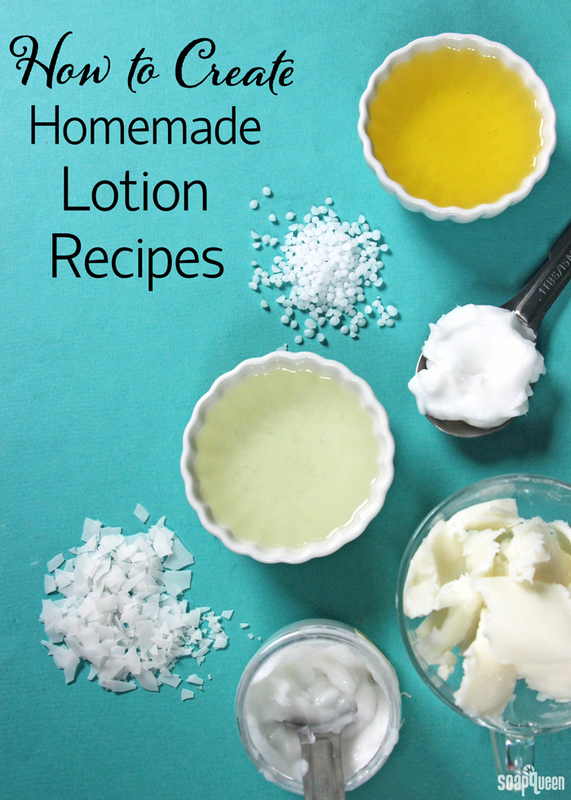 If you prefer to make your own lotion from scratch, check out this blog post to learn how. 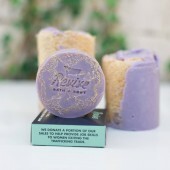 I scented this lotion with the refreshing Cucumber Oak Fragrance Oil. 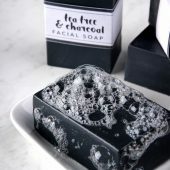 It’s a great scent that’s suitable for both men and women. This lotion does have a soft green color, but don’t worry; none of that green actually shows up on your skin. =) The combination of Emerald LabColor and Kermit Green Mica leaves a very subtle shimmer that has no lasting green hue. 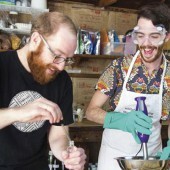 Making your own handmade lotion for the first time can be intimidating. 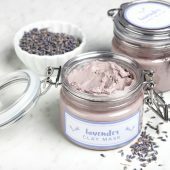 If you’ve never made lotion before, I would recommend using a tried-and-true recipe to get a feel for the process. You can find a variety of recipes here. 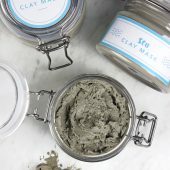 Once you have a grasp on the basics, you may be interested in formulating a customized lotion recipe. 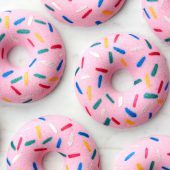 It can be tricky to know how much water, oils and emulsifiers are needed to create a stable product. 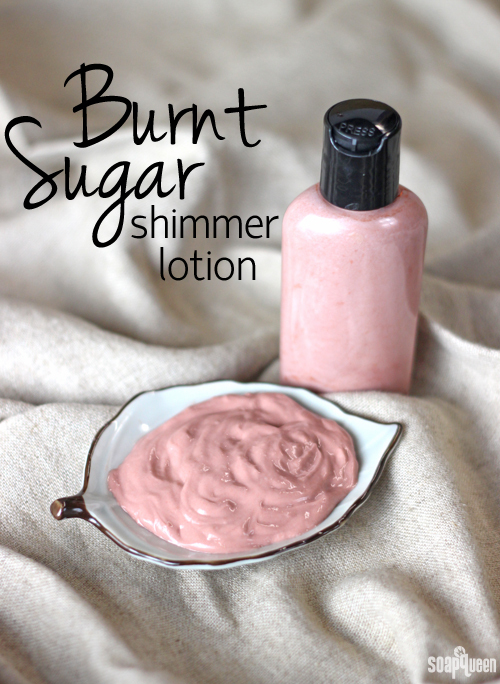 The great thing about creating a lotion recipe is that you can customize it to be the texture you love. 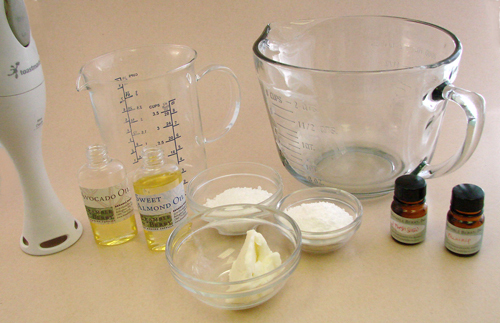 The first thing to understand when making your own lotion is the basic ingredients. 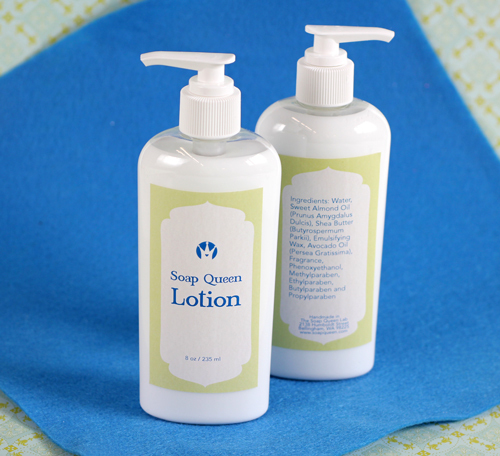 Lotion is created by combining oils and water with an emulsifier. The texture of your lotion will depend on the proportions of each ingredient and the type of emulsifier and oils. 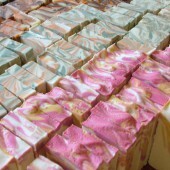 Additional ingredients such as glycerin, thickeners, fragrance and color can also be added. 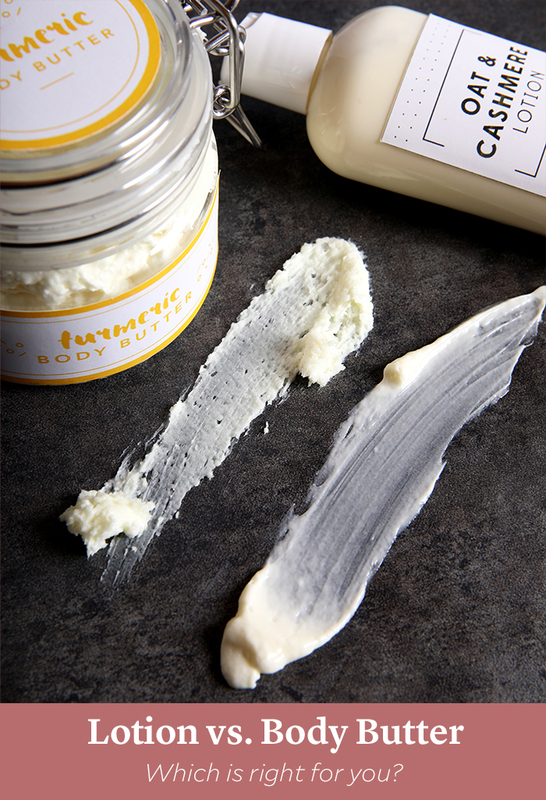 Typically body butters do not contain any water and are made completely out of oils and butters. 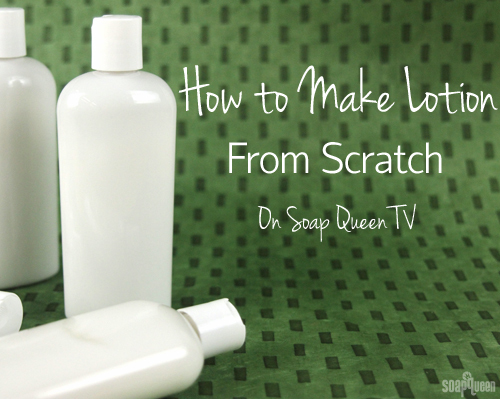 To see lotion making in action, check out the How to Make Lotion from Scratch video below. 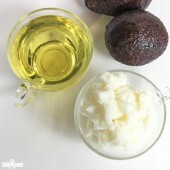 You can make lotion with a wide variety of oils and butters; which one you choose depends on what consistency and benefits you’d like the lotion to have. 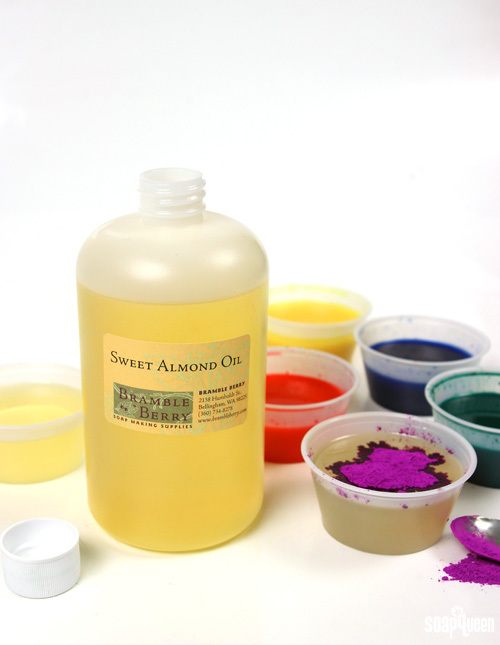 Sweet Almond Oil: Lightweight and odorless, sweet almond oil is a great option for lightweight lotion recipes. It has a rich concentration of oleic fatty acid and linoleic essential fatty acids, making it a skin-loving addition to any recipe. 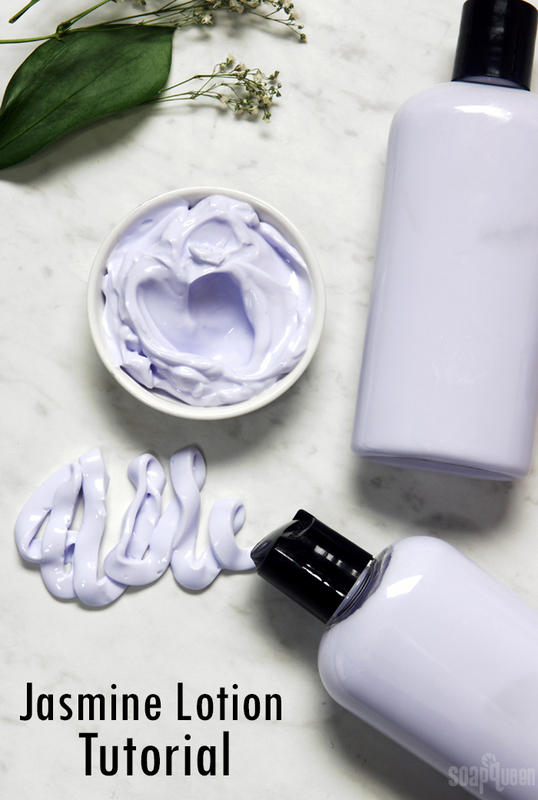 In lotion, it leaves skin feeling hydrated and non-greasy. A great alternative to sweet almond oil is apricot kernel oil. Find sweet almond oil in this recipe. Avocado Oil: A mediumweight oil, avocado oil is nearly odorless and colorless. It is easily absorbed in the skin, making it a popular choice for lotion and creams. It contains a large amount of oleic acid which contributes to its conditioning properties. 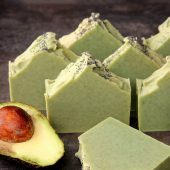 Find avocado oil in this recipe. 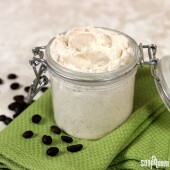 Shea Butter: Soft and moisturizing, shea butter gives lotion a slightly thicker consistency. 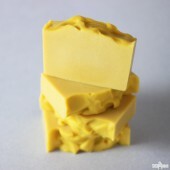 As a heavier butter, it leaves skin feeling somewhat greasy but it is quick to absorb into the skin. 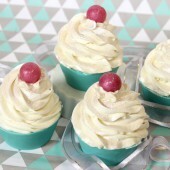 Find shea butter in this recipe. Sunflower Oil: High in vitamin E and oleic fatty acid, sunflower oil is both lightweight and moisturizing. It does tend to leave a slightly more greasy feeling in lotions than other lightweight oil options, like sweet almond or avocado. Find sunflower oil in this recipe. 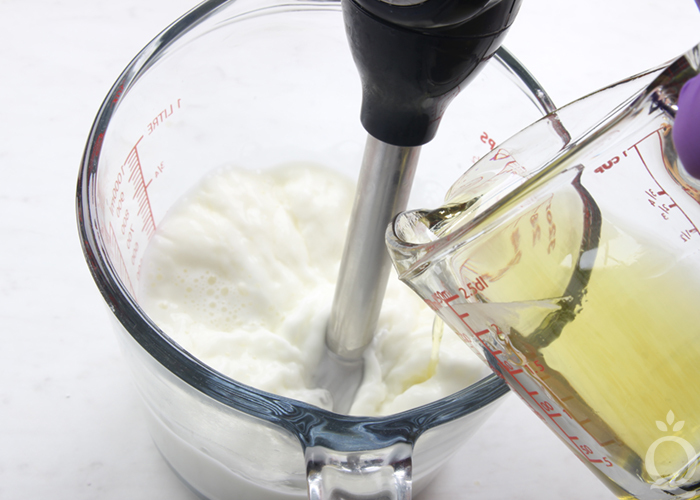 Emulsifiers are typically used around 10% or less in a lotion recipe. 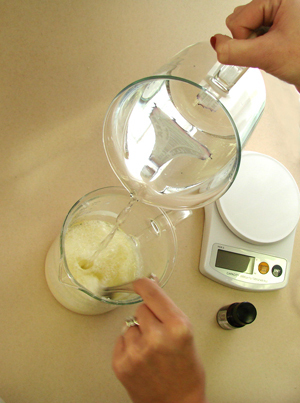 An emulsifier is key to creating a successful lotion. The emulsifier binds the water and oil together. The last thing you want is for the oils and water in your lotion recipe to separate. 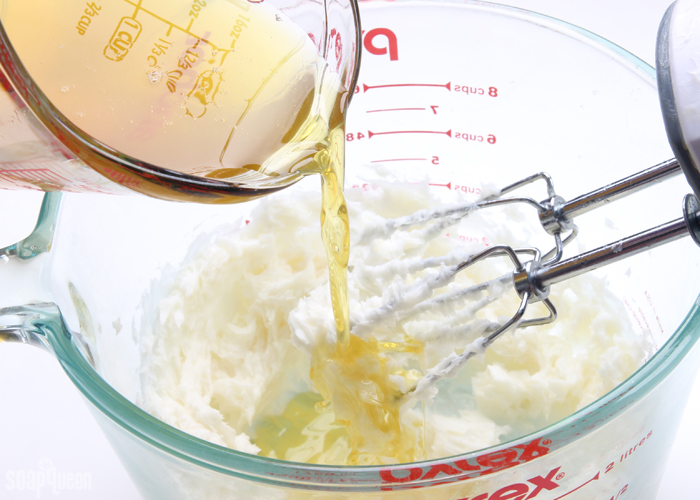 Various emulsifiers have different binding strengths and properties, so it’s important to consider which emulsifier is best for your recipe. In addition to emulsifiers, there is another category of products referred to as co-emulsifiers. 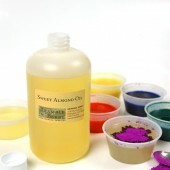 These ingredients are not meant to emulsify oils and water on their own, but will help to stabilize an existing emulsion. 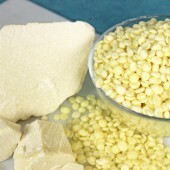 Co-emulsifiers often help to thicken products as well. 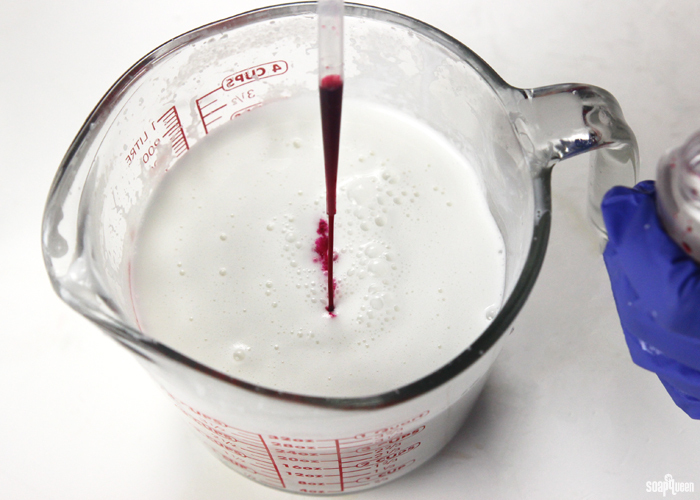 A recipe does not require a co-emulsifier, but they often create a more stable and creamy product. Below are popular lotion emuslifiers, co-emulsifiers and their properties. Emulsifiers and co-emulsifiers bind together water and oil to create lotion that will not separate. 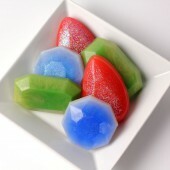 Polawax Emulsifing Wax: This waxy material is usually used between 3-6% of the total weight of your recipe. Manufactured by Croda (Polawax), this wax comes in the form of white pastilles. This product is a proprietary blend of ingredients. 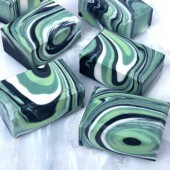 Bio-Mulsion Wax: This wax derived from olive oil is a great natural alternative for Polawax. Normal usage rates are between 2-8% of the total weight of your recipe. 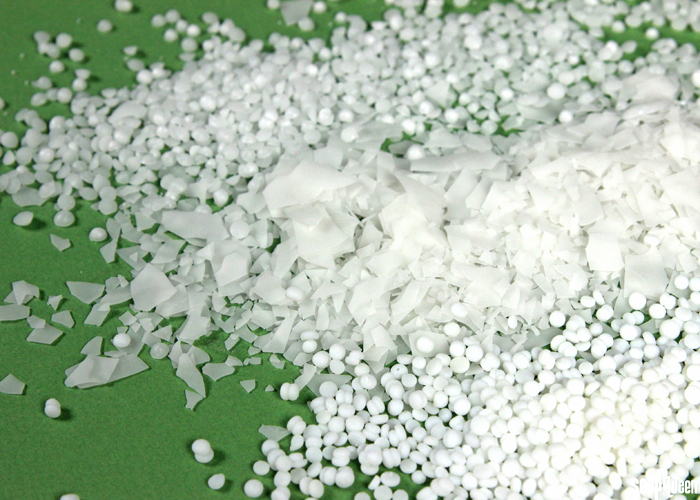 This emulsifier comes in the form of medium off-white flakes. 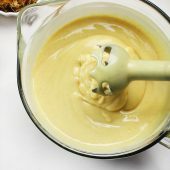 BTMS-50: This emulsifier is vegetable based, and is recommended to be used at 1-15% of the total weight of your recipe. 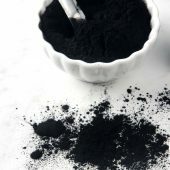 BTMS-50 contains a large percentage of conditioning agents (Behentrimonium Methosulfate), which makes it a good choice for hair care in addition to skincare. It comes in the form of white pastilles. 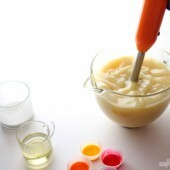 BTMS-50 is also capable of emulsifying silicone. BTMS-50 tends to add a less greasy feel to lotions than other emulsifiers. 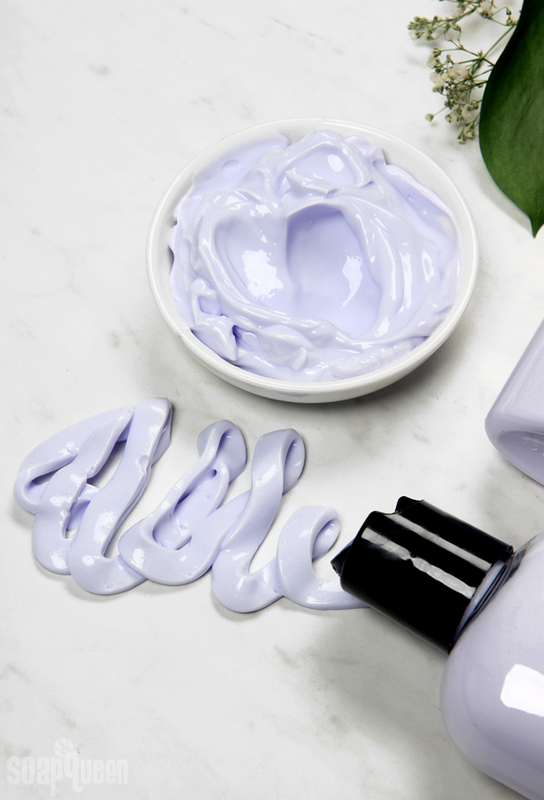 Note: Polysorbate 80 and polysorbate 20 are popular emulsifiers as well, but we do not recommend using them as the primary emulsifiers in your lotion recipes. 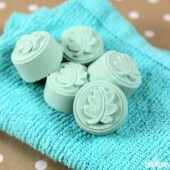 Instead, polysorbates are commonly used as fragrance and essential oil solubilizers. Cetearyl Alcohol: Cetearyl alcohol helps to thicken and stabilize emulsions. It is a mixture of fatty alcohols consisting mostly of cetyl and stearyl alcohols. It is oil soluble and should be added to the oils in your formulation. For creams and lotions, it can be used anywhere from 2-30%. 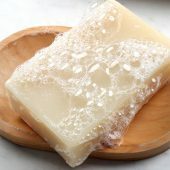 In some liquid soap formulations, cetearyl alcohol can also be used as a surfactant booster. 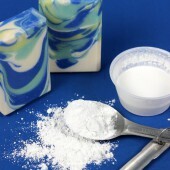 Stearic Acid: This cost effective co-emulsifier is often used to thicken lotion and other emulsified products. 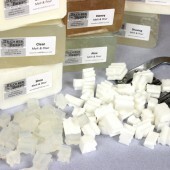 Stearic acid is derived from vegetables, and can also be used to harden soaps at a rate of .5% of your oils. 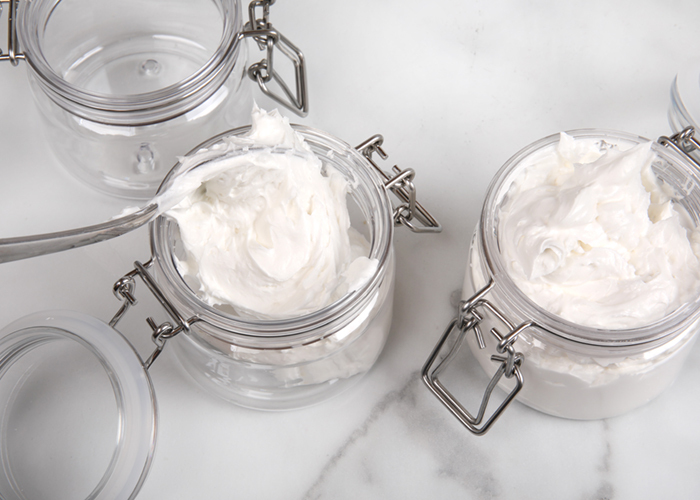 For lotions and creams, it’s recommended to be used around 2-5%. The more you use, the thicker your product will become. 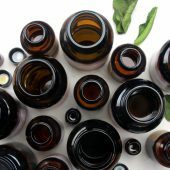 Cetyl Alcohol: This co-emulsifier can be used to create a thicker texture in lotions and emulsified products. Normal usage rates are between 3-5% of the total weight of your recipe. 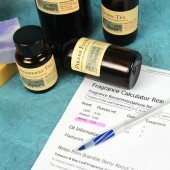 Similar to stearic acid, many believe it imparts a slightly more emollient feel to formulas. 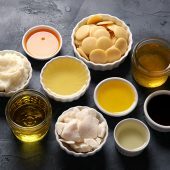 In addition to choosing the oils, butters, emulsifiers and co-emulsifiers, you also have the option of alternative liquids and special additives. Typically, lotion is made using distilled water. 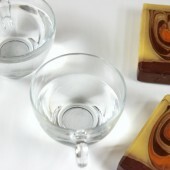 Water can be swapped with other water based liquids like aloe vera liquid or rose water. One liquid I do not recommend using in lotion is milk. Using milk in lotion is very similar to placing milk out on the counter. If you were to leave a carton of milk on the counter, it will go bad eventually. The same will happen to the milk in your lotion. If you do choose to use milk in your lotion, I would recommend storing it in the fridge and expect a shelf life of about 4-8 weeks, even with a preservative. 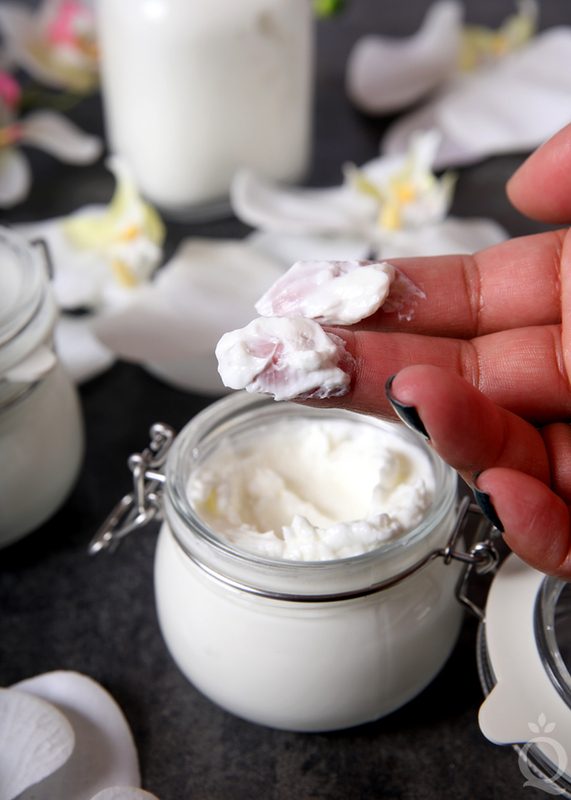 While a preservative in your lotion will prevent mold and bacteria from growing, preservatives do not protect against rancidity, such as spoiled milk. Special additives in your lotion recipe include ingredients such as extracts, additional humectants (ex: glycerin), colors and fragrance. To read more about extracts, click here. All extracts found at Bramble Berry are oil soluble, so we recommend adding them to the oil phase of your lotion. The suggested usage rate is about 3-5% of the total weight of your lotion recipe. 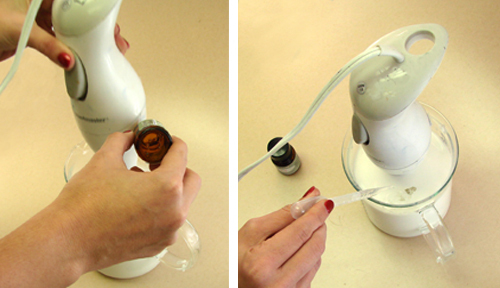 Keep in mind that adding extracts does add a small amount of extra oil to your lotion recipe. 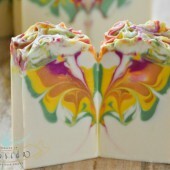 LabColors are great for adding color to your lotion recipes. 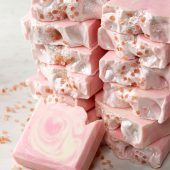 In the Rose & Aloe In-Shower Lotion, Fuchsia LabColor gives the lotion a light pink hue. 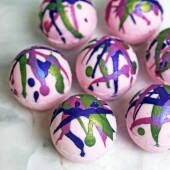 To give your lotion a hint of color, we recommend using water-soluble LabColors. 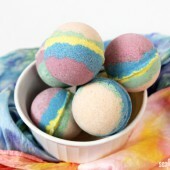 They are easy to mix into lotions and creams, and do not leave streaks on the skin. 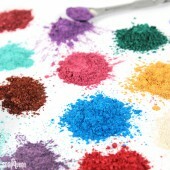 If you haven’t used LabColors before, check out this post to find out how to dilute and use them. 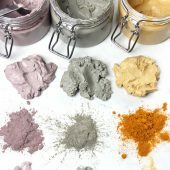 Skin safe micas, oxides and pigments can also be used, but don’t work great as they are oil-soluble and can leave skin streaky with color. 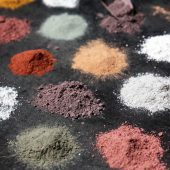 This can be used to your advantage if you are trying to add a hint of color to your skin, as shown in the Bronzing Lotion Recipe. Don’t forget to add a preservative to your lotion! This step is important. Because lotion contains water (and usually a very high percentage!) it’s likely to grow mold and bacteria. A preservative is an anti-microbial solution that helps to prevent mold from growing in your products. 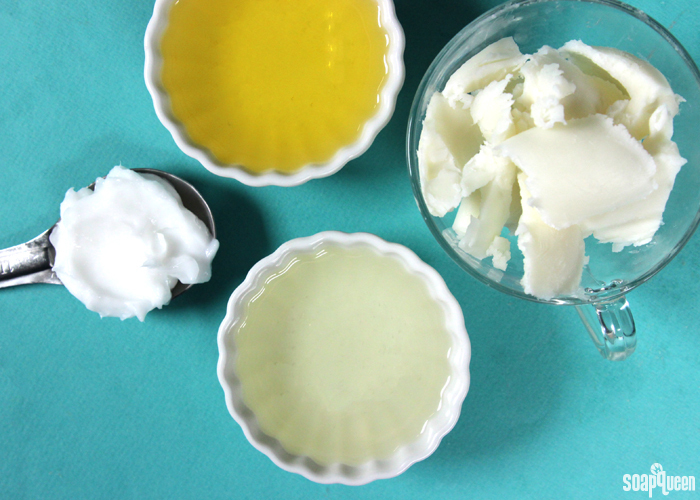 While it’s possible to make lotion without a preservative, it won’t last very long. 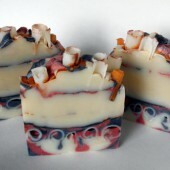 Within weeks, you will find mold and bacteria growing in your product. 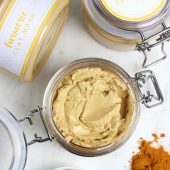 If you prefer to stay away from preservatives, I would recommend creating a oil based balm (like this one) that does not contain water, and thus does not require a preservative. Click here to learn more about using preservatives in your products. 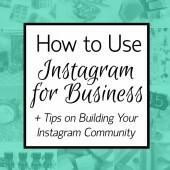 In addition, this blog post by Susan Barclay-Nichols of Point of Interest! is full of information. 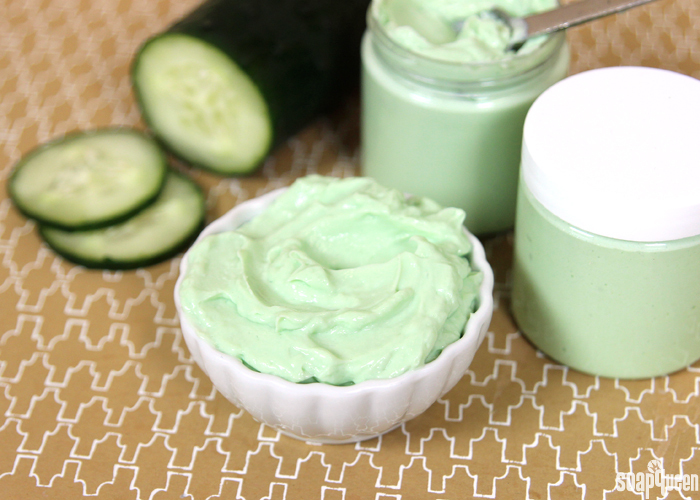 Ready to get started making your own lotion recipe? Below is a general recipe guideline that’s ready for you to customize! 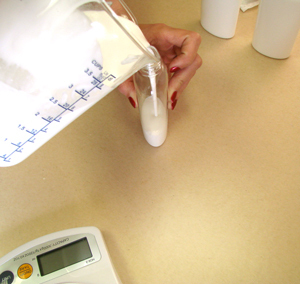 This general formula creates lotion with an average weight and texture. 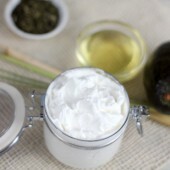 But remember: the kind of oils, butters and other additives you use will play a huge role in how your lotion will feel. 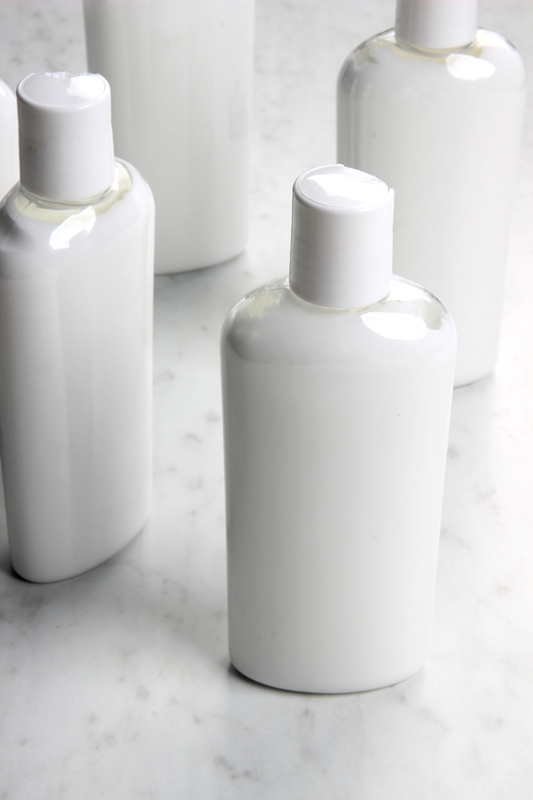 Remember, just like any bath and beauty project, making your own lotion all depends on personal preference. The recipe above is a great place to start, but it’s just screaming to be tweaked with your favorite ingredients. 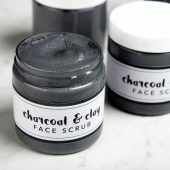 It can sometimes take a little trial and error to find the perfect formula for your skin type, but that’s half the fun. 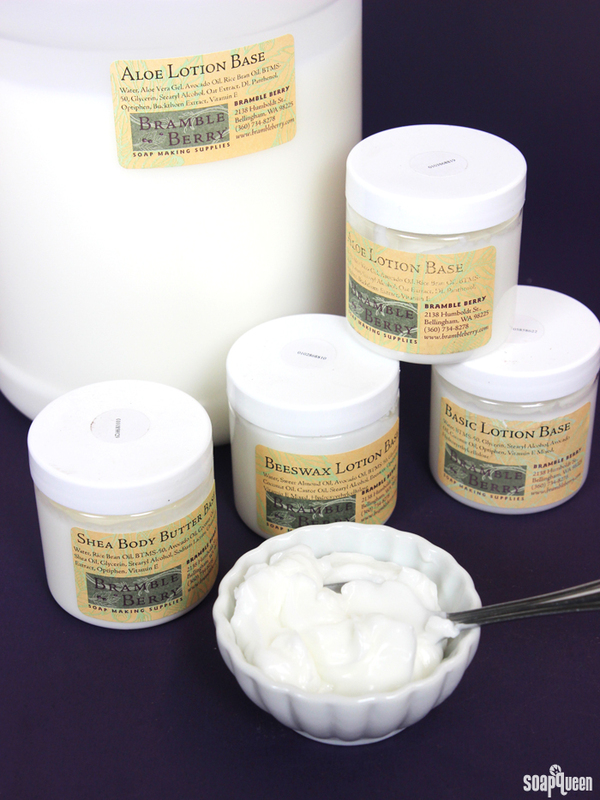 What are your favorite ingredients to use in your handmade lotion? Making lotion from scratch is a fun project. 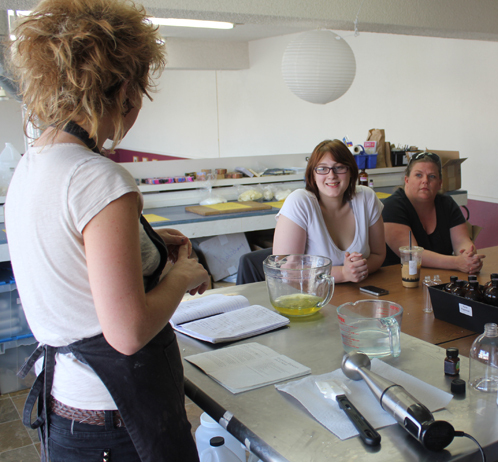 The process includes emulsifying water and oils, much like making soap. Other additives such as extracts, vitamin E and DL-panthenol can also be added to increase benefits to the skin. 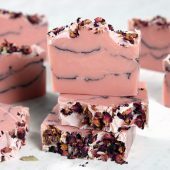 If you love the feel of homemade lotion but don’t want to formulate it yourself, the Bramble Berry Lotion Bases are here to help! 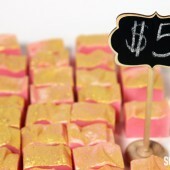 These pre-made bases are ready to customize with scent and color. 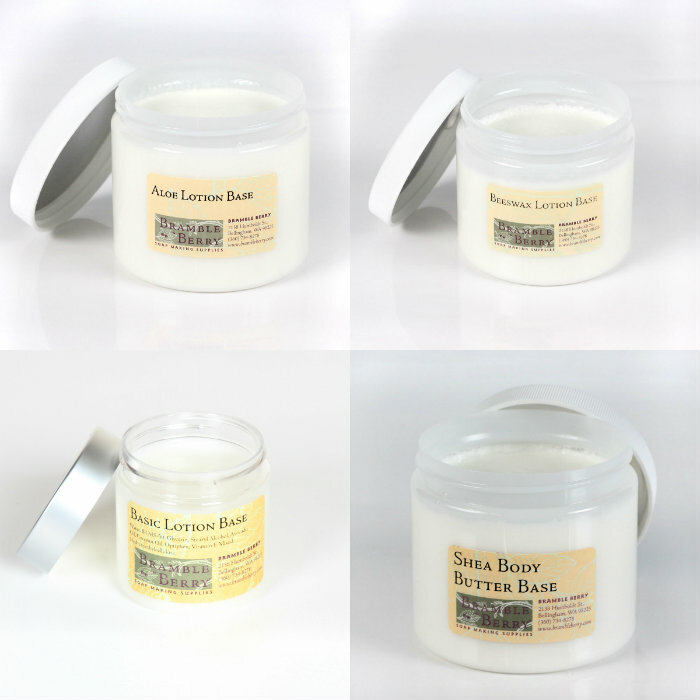 The lotion bases come in four varieties: Aloe Lotion Base, Basic Lotion Base, Beeswax Lotion Base and the Shea Body Butter. 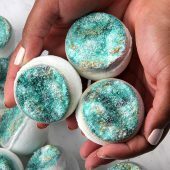 The main ingredient for all the bases is water; what makes them different are the types of oil, extracts and other ingredients such as emulsifiers. All the bases include the preservative optiphen to prevent mold and bacterial growth. 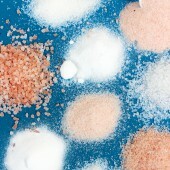 To learn more about preservatives and how to us them, check out this blog post. Check below to see the ingredients of each base! I’m so excited! I just designed the curriculum for an Advanced Lotionmaking Class at Otion. 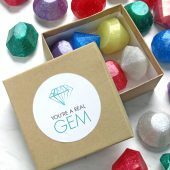 It’s so new that you can’t even sign up for the class yet but I’m bursting with excitement (yes, I’m a geek) and couldn’t wait to share it with you. Plus, if you see any major holes in the subject matter, I trust you tell me. Advanced Lotion Class: Have you mastered the basics of lotiomaking and you’re ready to take it to the next level? 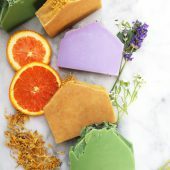 In this class, we’ll go over how to design your own recipe from scratch using %s, test several emulsion systems and briefly cover ingredients (cosmeceuticals) to turn your lotion into an anti-acne or anti-aging product. Finally, we’ll discuss the rules the FDA sets on making claims about your lotion or crème. 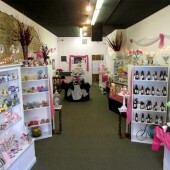 Students will leave with samples of crèmes and lotions from the class. 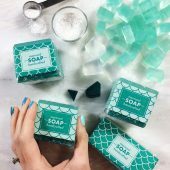 Note: I’ll be teaching a similar class for the SoapGuild Conference this yearbut it is a shorter class and will probably not get to cover cosmeceuticals.